In case of fire, push to open. 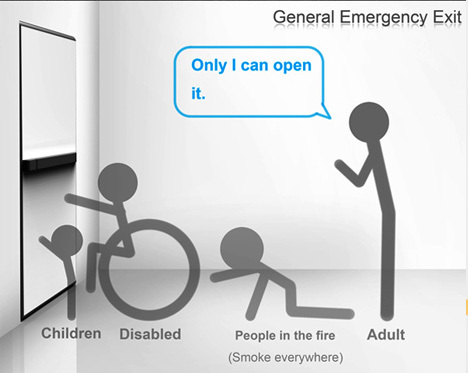 The basic design of emergency doors still makes sense – a horizontal bar that someone in a panic would run into and open by default – but a vertical component, as illustrated here, would make doors more accessible to those who need them most during a disaster. 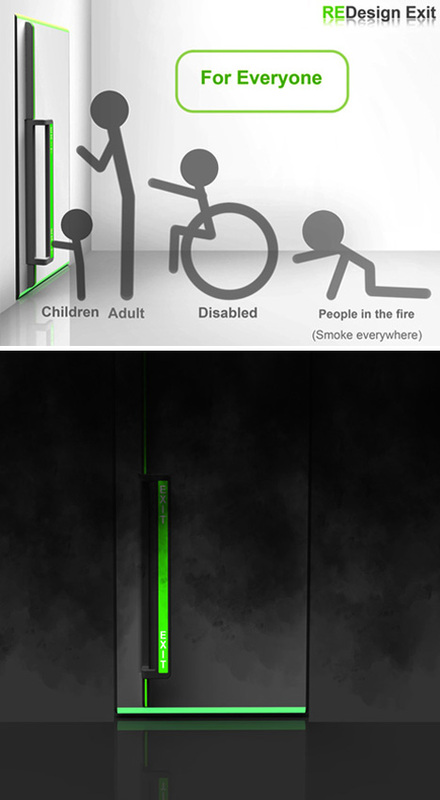 Children, people in wheelchairs or ordinary trapped folks who are simply crawling on the floor due to injury or smoke – all would benefit from a well-lit, floor-reaching door handle like this one designed by Chen Guan-Yuan. 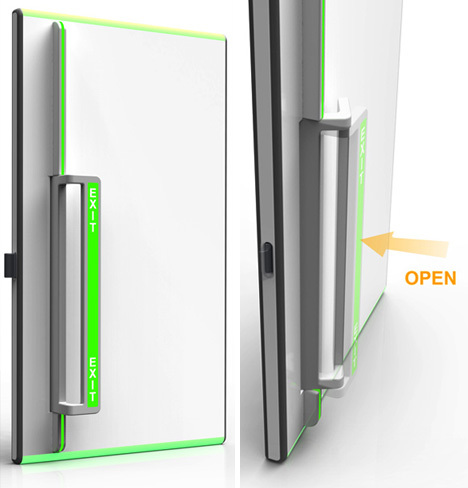 However, a second strip of differently-colored lights might help to call out the handle from the other illuminated elements of the door’s design. The solution, as is often the case, likely lies between extremes. It would be a mistake to change something so universally recognized and that works well in most situations to its polar opposite. At the same time, this classic design does seem to miss a critical demographic and at just the wrong time, namely: when its flexibility and vertical accessibility is needed the most.